Christa Pacheco's Gift - F.A.I.T.H. 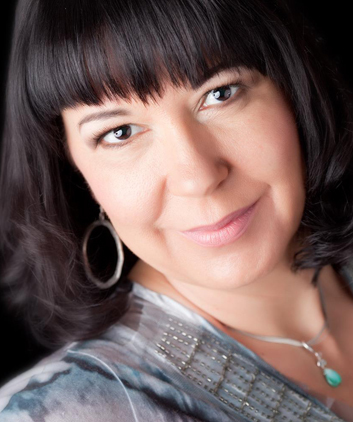 Christa Rae Pacheco is a Medical Intuitive with the ability to read energy fields and use her intuitive intelligence to zero in on the root cause of any imbalance you may experience in your life. Her quest for self-healing led her to the most amazing teachers who showed her how to access higher knowing, receive insights from highest Source, and explore Energy Medicine and Holistic Healing. Discovering the gifts and what she gained from her emotional wounds was a life-changing experience that culminated in the burning desire to share what she had learned with those looking for tools to empower and heal themselves. Today, Christa’s guidance and expertise is helping many individuals with health, wealth, career, or relationship issues to transform their perspective, heal their emotional bodies, feel fully alive and free of pain and emotional suffering. After four years of writing, planning, and creating, Christa has published “Opus Lux – How to Create Your Own Light" and developed the “Opus Lux DNAScan” which she uses in her private practice and teaches to other holistic Health-care Practitioners in a 2-day workshop.